Remember them? Thought I’d mention these guys to help out a fellow author that might need a shout out. Hi, Jo. 😉 Yeah, we’re that close. As close as two continents divided by The Pond can be, but I digress. 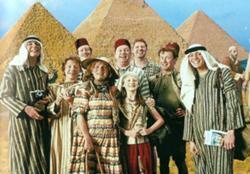 Today we honor not just Rowling’s most awesome family (sorry, Potters), but who the Weasleys represent. They are the sidekicks, the minor characters, the second string performers. They may not share the limelight with the protagonist of a story, but they make the protagonist look a heckuvalot better. Therefore, these characters are my favorites in any story on the page or on screen. Xander Harris, Daniel ‘Oz’ Osborne, Clem, Krevlornswath of the Deathwok Clan, Winifred Burkle, Dr. Lance Sweets, Dr. Jack Stanley Hodgins, Mr. Vincent Nigel Murray, Dr. Spencer Reid, Det. Danny Williams, Kamekona, Barney Stinson, Marshall Erikson, Kenneth Parcell, Hot Chef Gary Preston, Henrietta ‘Hetty’ Lange, Eric Beal, Det. Marty Deeks, Det. Javier Esposito and Det. Kevin Ryan, Bobby Singer, Castiel, Hugo ‘Hurley’ Reyes, James ‘Sawyer’ Ford, Keith Mars, Billy Abbott, General Jacob Carter/Selmak, John Cage and Richard Fish, Larry Paul, Det. Danny Messer and Det. Don Flack, Guinan, Lotney ‘Sloth’ Fratelli, Pedro, Nico, and Rafael, Dory, Crush, Heimlich, Gendry, Arya Stark, Syrio Forel, Podrick Payne, Bronn the Sellsword, Dolorous Eddison ‘Edd’ Tollett, Walter Bishop, August ‘Auggie’ Anderson, Mozzie, FBI Special Agent Peter Burke, Thomas Barrow, Mrs. Beryl Patmore, Alfred Molesley, Donna Noble, Ianto Jones, Amelia Pond & Rory Pond née Williams, both Merry AND Pippin, Dr. Watson–any of them. 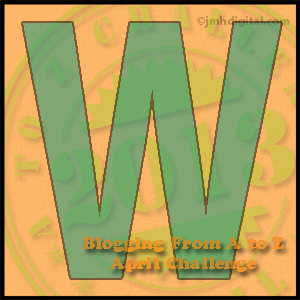 This entry was posted in Blogging A to Z Challenge, Camp NaNoWriMo, Savvy Authors Boot Camp and tagged minor characters, second string, sidekicks, Weasleys. Bookmark the permalink. I love it! If one thinks about it, without the sidekicks, how far would the primary characters get?